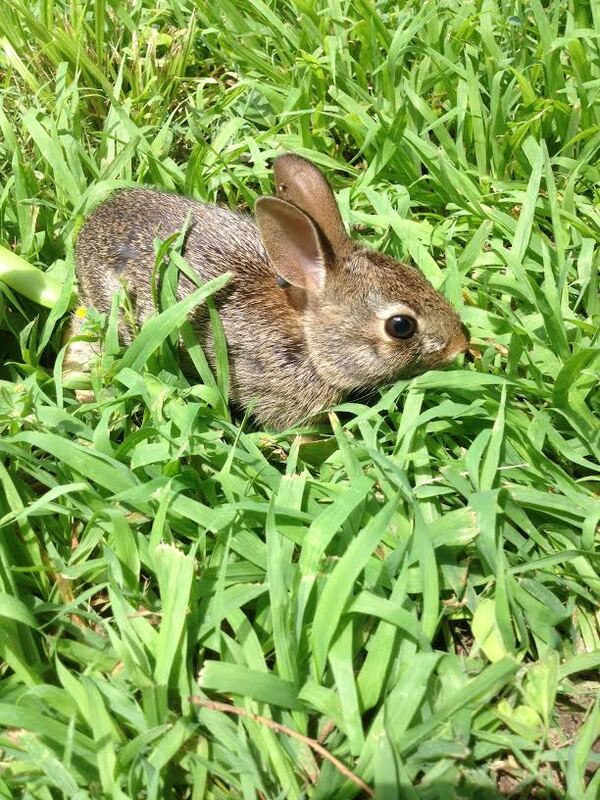 We’ve been battling with two baby rabbits that were born in our backyard. They have devoured several of our new plants. I finally bought two live traps and set them out Friday night. By Saturday afternoon, we’d caught one! One down, and one to go! We relocated him to a park across town that has a nice wooded area. We have three dogs, and though the rabbits when we let them out, they never catch them. Our neighbor has two dogs that are much more aggressive when it comes to wildlife, and you can tell because they never have rabbits or squirrels in their backyard. But you do see adult rabbits hanging out in their front yard all the time. While studying up on rabbits and trying to learn how to defeat them, I learned they have different taste buds. 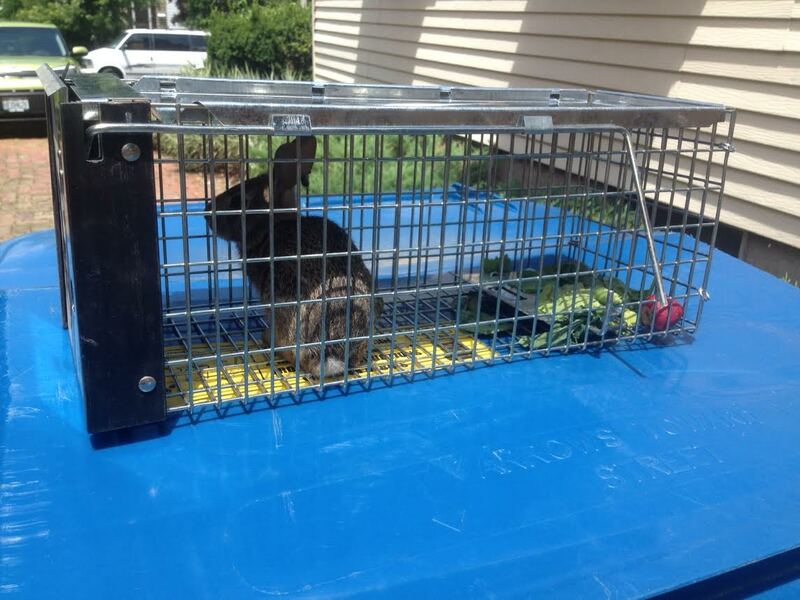 One rabbit might eat a plant in your neighbors yard, but a rabbit might not eat it in yours. I find it all very interesting. It made me want to read Watership Down! When I released the little guy, he didn’t want to come out of the cage. When he finally did, he sat there in front of me long enough for a picture and then took off in a flash into the woods.